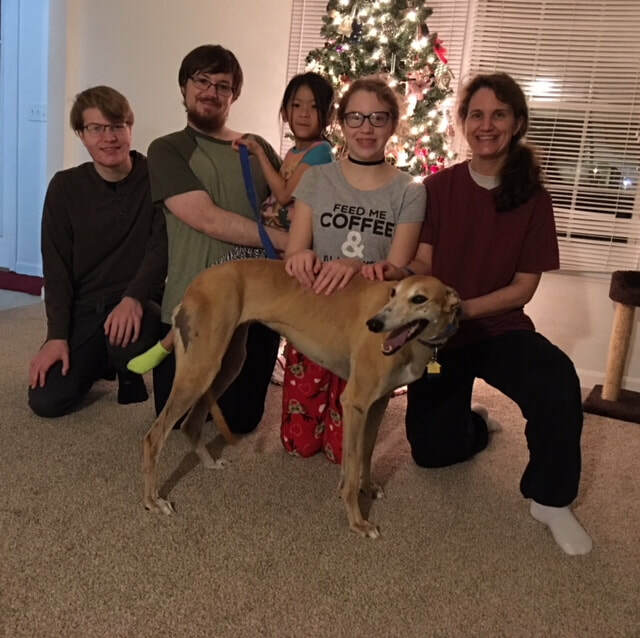 Braska Razberry now Nala was adopted by Chris, Grace, Ciara, Cole and Ethan who live in Liberty Township. Their pretty cat, River was not available for the family photo. Nala has a nice yard and a family that will love her unconditionally! This sweet girl is VERY lucky to be HOME for Christmas!